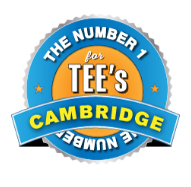 The number one t-shirt printer in Downtown Preston, Cambridge. Whether you’re looking for just one item for a special gift, to hundreds for an event we can help! Below you’ll find a list of a few items of clothing that we offer, all of which can be custom printed to your requirements. If you’d like to view a much greater range, please check out the link to be redirected to our apparel website. Great quality sweatshirts available from the leading manufacturers in the industry. Full zip or pocketed style, lots of colours and fabrics to choose from in men’s, ladies and children's options. These items make great gift ideas and they can be printed with your favourite saying etc. Performance tees, baseball tops and vests. Once again from the leaders in the industry, with varying garment properties. Anti-microbial, anti-wicking, tagless and more. All garments can sport your team name and number if required. Press here to view our Virtual Catalogue of Teamwear. Our tees are from leading manufactures such as Fruit of the Loom, Gildan, ATC, Coal Harbour and Ogio. See the great colours that we have to offer with our Everyday Cotton Tee. The perfect option for stag and doe party tee’s, corporate event tee’s, uniforms, or one off’s. Other various styles are available for men, women and children including long sleeve tees, short sleeve, v-neck and round neck options. Our outerwear is built for the active lifestyle. Stay protected inside and out with Coal Harbour, ATC, Ogio and our newly added Eddie Bauer brands. Ladies and gents jackets, soft shell, fleece, micro-fleece, pro-team jackets, city jackets and everyday jackets available. Complete your uniform or look with headwear by ATC, Flexfit and New Era. Baseball style caps, knitted beanies and toques are all available in a variety of colours. We can print in a single colour if you’re on a budget or if you want to make something really colourful we also offer a full colour digital print service. The more garments we print the cheaper your print becomes! Not sure of your design...just email, ring or call in to our store and we’d be happy to help and give you some ideas!